I'm quite fond of nature, but I wouldn't call myself an outdoor enthusiast. 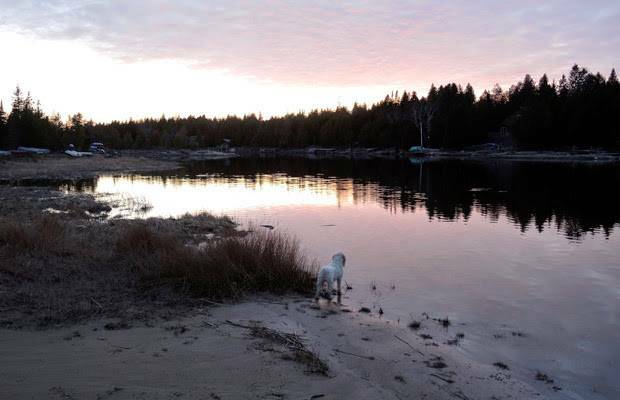 I didn't spend my childhood Kumbaya-ing at summer camp or portaging to remote campgrounds in Ontario's Algonquin Provincial Park. I can count the number of times I've slept in a tent on one hand. My husband Chris, on the other hand, is the rugged type: He spent his summers planting trees in Northern Ontario, picking apples in B.C. 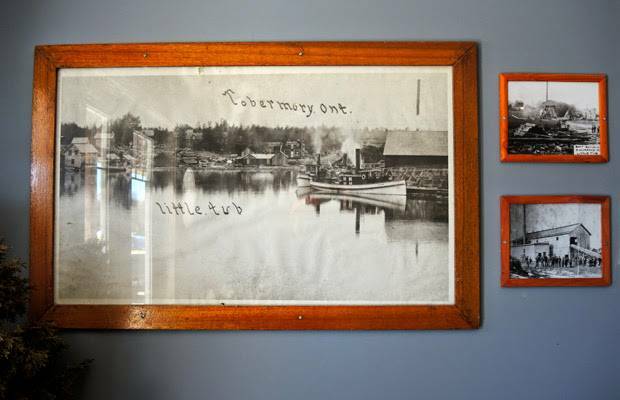 's Okanagan Valley and working on a fishing boat, which means the great outdoors course through his blood. 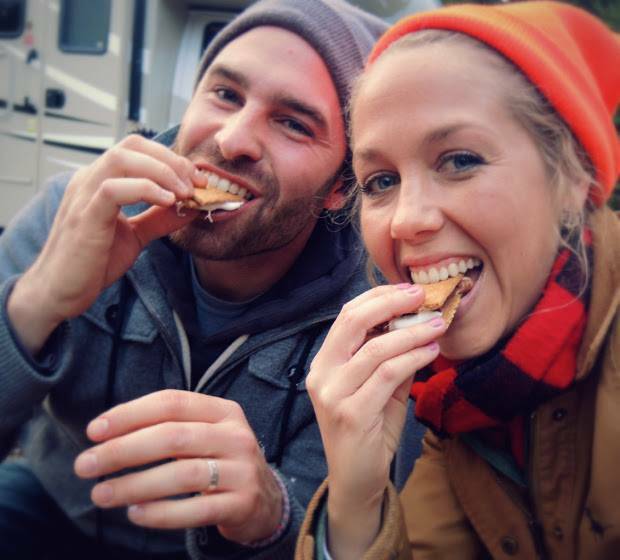 So what happens when a newly married couple who enjoy the outdoors to varying degrees decide they want to go camping for a mini-moon? They compromise. 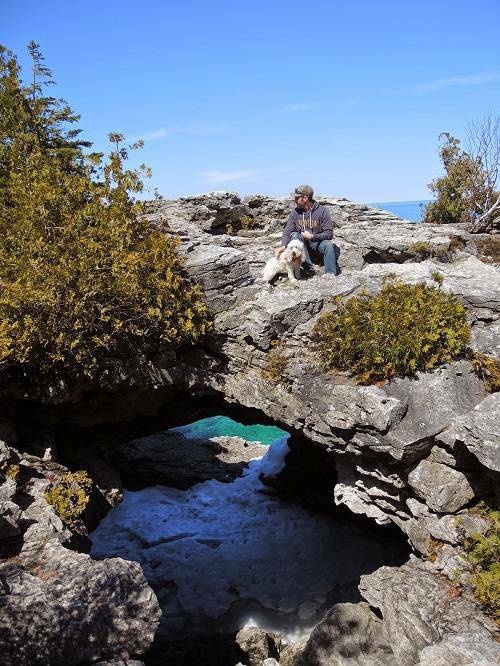 We took a two-day trip to Tobermory, Ont., in a recreational vehicle. 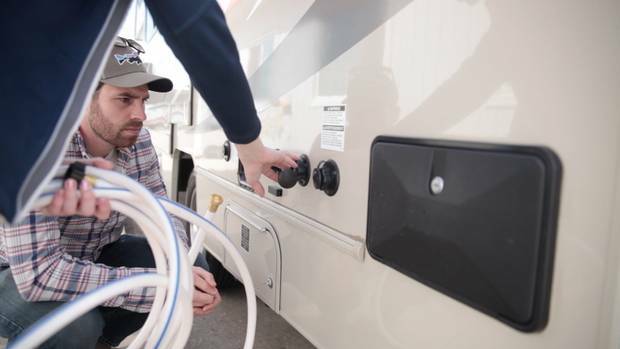 As an RV amateur, I became increasingly aware of my ignorance: I had no idea Canadians embarked on nearly eight million RV trips a year, and according to stats from GoRving Canada – a non-profit organization that promotes the RV lifestyle – about 14 per cent of households own a motor home. I was also surprised by the demographic of RV drivers. It’s not all white-haired, retired seniors living out their glory years on the road. 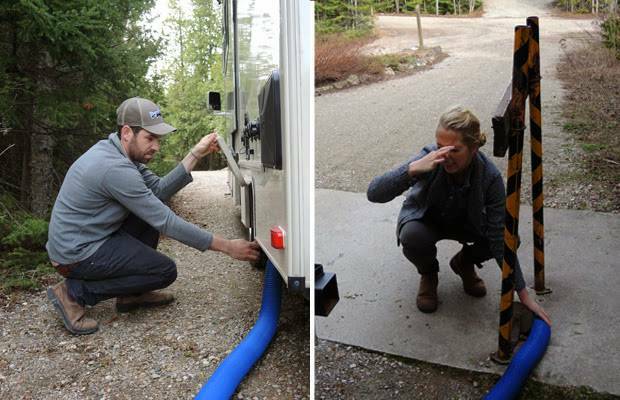 Forty five per cent of RVers in Canada have children and 67 per cent are under the age of 55. 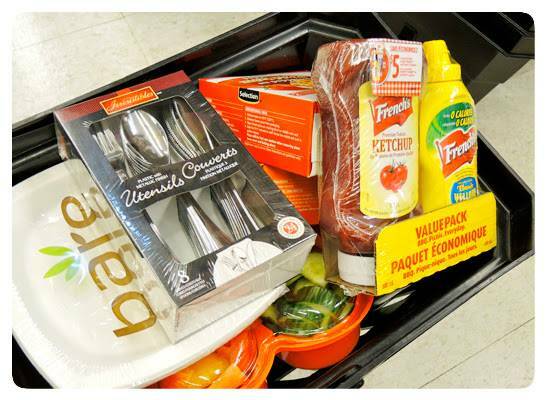 Once we had filled out the paperwork and paid the rental fees, plus a $2,500 security deposit, a staff member gave us a 20-minute instructional tour. We learned the vehicle we were renting, a 2013 Coachmen Leprechaun, wasn’t the property of Motor Home Travel. The company markets and services the motorhome on behalf of an owner, who generates income by renting it out during low season to people like me. 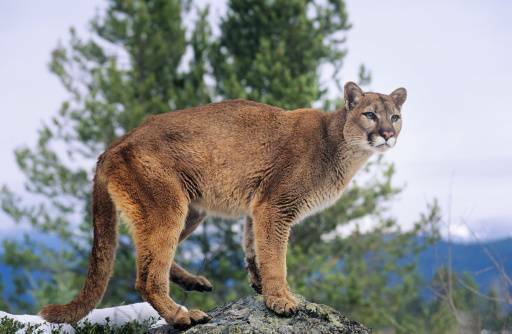 In my mind, RV nomenclature is based on two systems: forces of nature (Sunseeker or Four Winds) or big mountain cats (Cougar or Lynx). 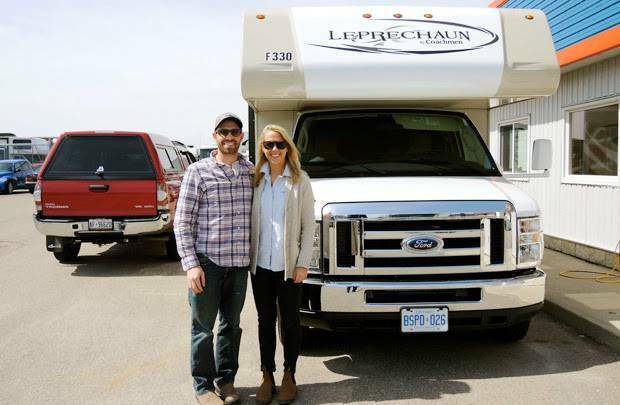 So when I found out our RV was called the Leprechaun – a mythical fairy in Irish folklore who hides his pot of gold at the end of a rainbow – I was confused. Was it named after the Jennifer Aniston movie from 1993, about a leprechaun who goes on a murder spree in North Dakota? No, I thought, that’s not rational (plus, the Leprechaun RV has been around since 1973). 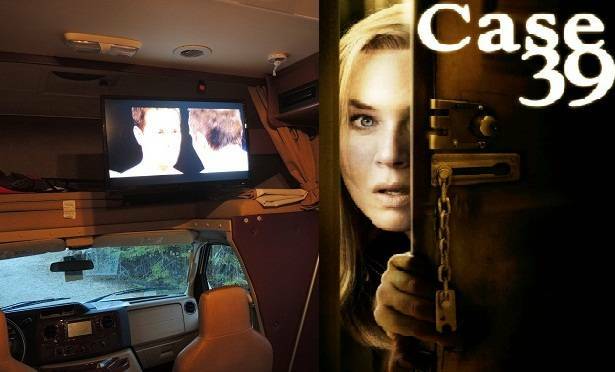 Maybe it’s derived from the fact that everything in an RV – fridge, cupboards, beds – are miniature, like a leprechaun? When I shared my theory with Mr. Sammut, he gave me a puzzled look and changed the subject. 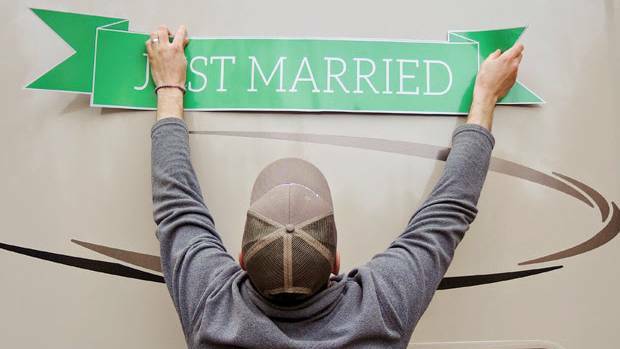 (By the way, for those of you who may be interested, there’s an entire industry devoted to graphics, decals and murals for RV -- although a disproportionate number of designs feature bald eagles wearing star-spangled bandanas). 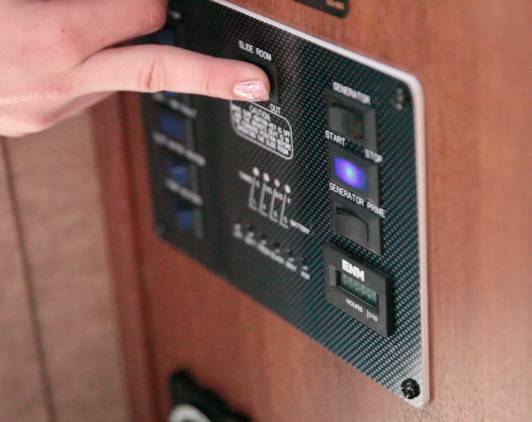 One of the neat things about driving an RV? You don’t need a special licence, a G-class will do. 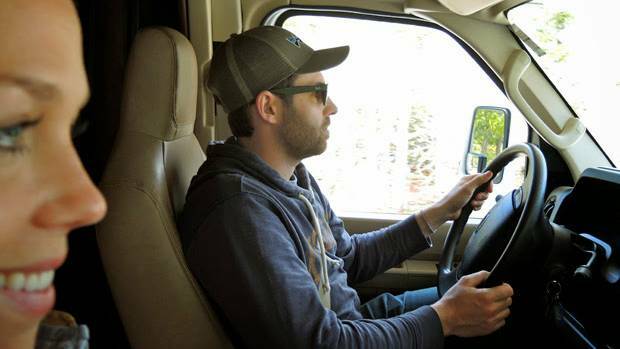 It’s pretty straightforward to drive, and Chris said he got used to it after about 20 minutes on the road. The vehicle is obviously wider than a car – poking out about a foot on each side. 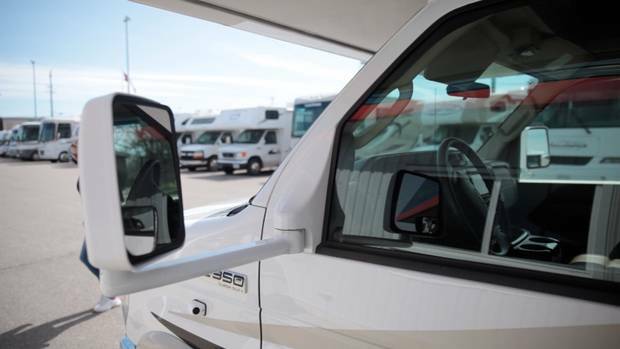 But it’s armed with a fleet of back-up cameras, so every time you flick the turn signal or pop the RV into reverse, a video appears on the console. Super handy. Word to the wise: make sure everything is strapped down before you put the pedal to the metal. We were warned about this – but at one point a few bottles of water fell on Chris’ head while we were driving. 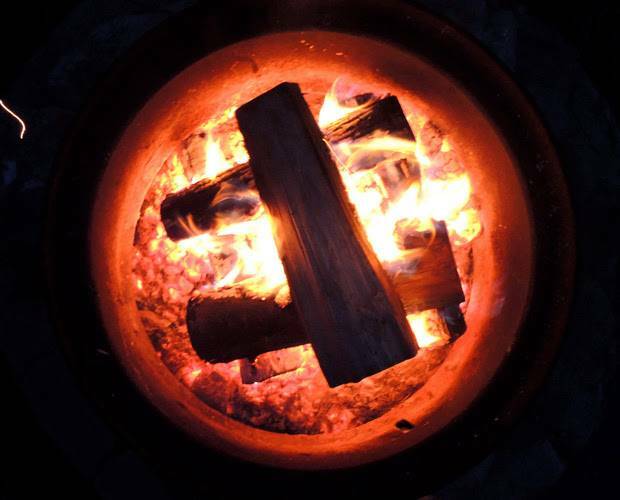 We had a good laugh about it, but it was slightly alarming to consider what might have happened if it been a stack of firewood. 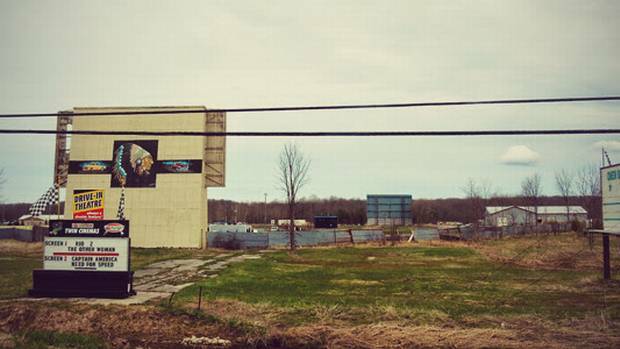 The RV hummed along, winding its way through small, unfussy towns. It wheezed ever so slightly up larger hills, but otherwise the ride was pleasant and relatively uneventful. 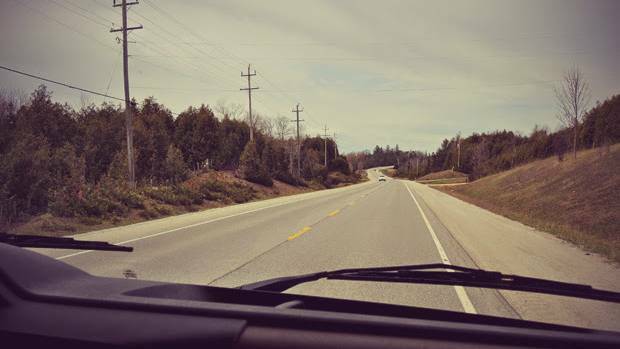 After about 60 kilometres, Chris said he was “entirely comfortable driving the RV” though he admitted his right leg got a bit sore, perhaps because the pedals are set higher off the ground. 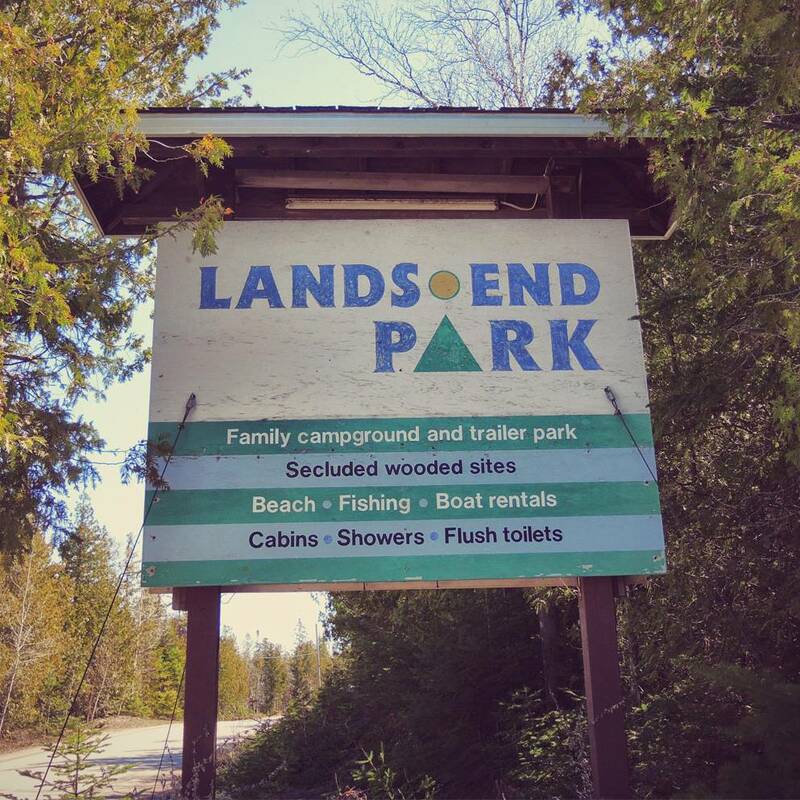 As it happens, when we entered the tuck shop, there were two travelers speaking German to the woman at the desk – Vivien – who helps run the campground with her husband Dale Sheppard, who bought the business 22 years ago. We paid for our two-night stay on a premium lot, which include 15/30 amp electric and water hookup ($43 a night) and also purchased two stacks of firewood and some supplies we had forgotten in our hasty morning packing job. She was right. It was beautiful and unlike any other campground I had stayed on. Our site had a picnic table, a firepit and it overlooked a pond filled with wildlife. This proved a double-edged sword as spring peers were in mating season and they kept us up at night. One bonus was a direct hookup to water and power, which meant we didn’t need to use the generator while we were there. After patiently waiting a half hour for the electric heater to do its magic, he had what he described as a “glorious” shower: consistent heat, pressure, and although the small bathroom got steamy real fast, the fan on the ceiling made a huge difference. 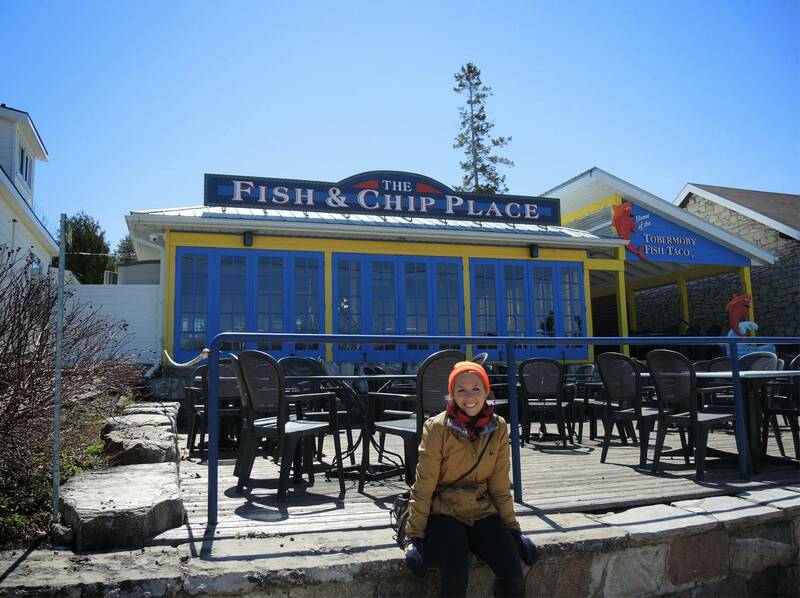 When we visited, Tobermory was just coming out of its six-month hibernation. The fishing village is known as the fresh water SCUBA-diving capital of the world because of the shipwrecks that lie in the surrounding waters. 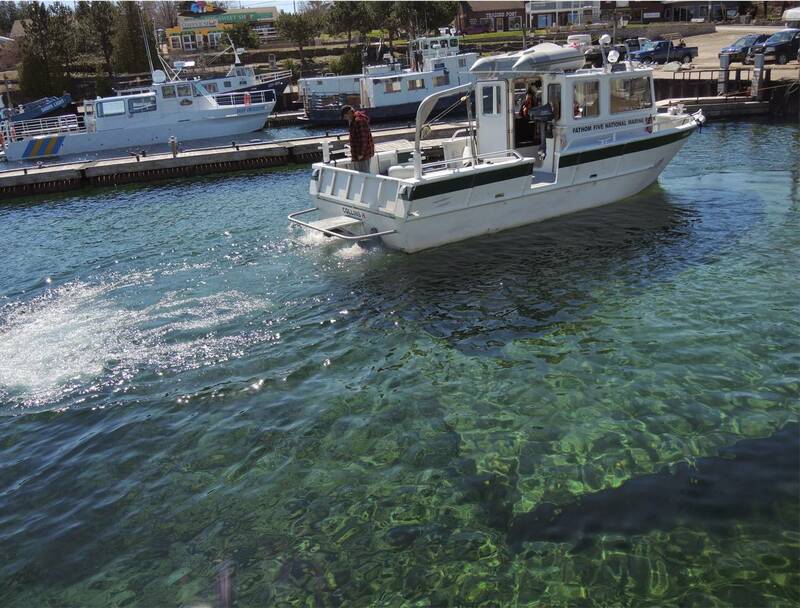 In its low season, Tobermory – situated at the tip of the Bruce Peninsula – is home to about 1,200 people. 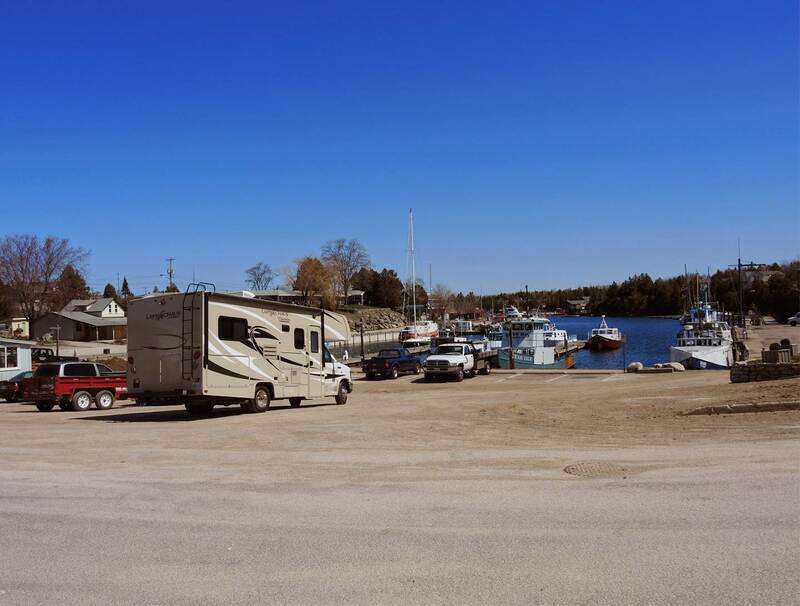 But like any popular summer town, its population swells following Victoria Day long weekend – in this case to as high as 20,000. Most of the shops hugging the harbour were still closed, and those that were open weren’t 100 per cent ready to go. 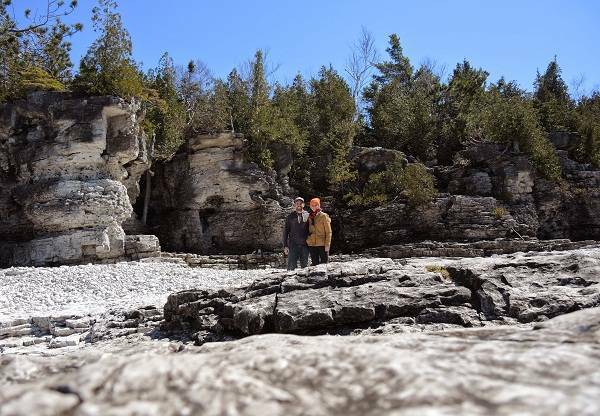 It would be another week until the famous glass-bottom boat tours or Flowerpot Island cruises started running, for example; not even the visitor centre had opened its doors. The village will be in full swing in July, but there was something serene about seeing the town coming to life on a crisp spring morning. Since Crow’s Nest – the local hot spot – was pretty much the only place open we decided to give it a try. It was newer than I expected: grey-blue painted walls, fresh pine booths, modern light fixtures and sails dangling from the ceiling. The space was large and bright, overlooking the harbour. I could see why students would flock to it as the local watering hole. 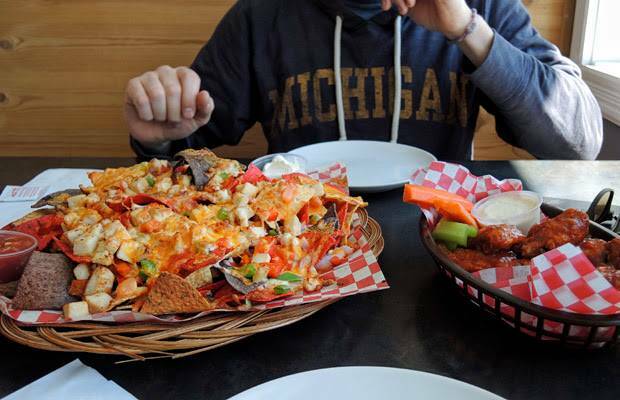 With the wedding in our rear-view mirror and the need for me to squeeze into my dress behind me, we ordered our go-to comfort food: nachos, wings and beer. The water, like so many people will tell you, was Caribbean clear and the rockscapes were magnificent. Being in the Grotto was analogous to the shores of Tofino, B.C., with the accompanying disbelief that this sublime environment was indeed a part of Canada – let alone four hours from Toronto. 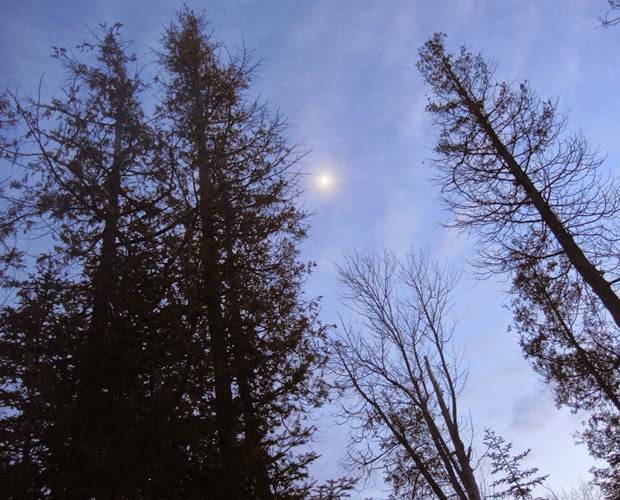 That evening, we returned to our campsite for our final night. You’d think with a full stove, oven and microwave, we’d step it up a bit, but instead we McGyvered some metal skewers to heat frozen pizzas over the campfire. This proved more challenging that initially expected. The crusts were completely black (really not fit for human consumption), but they tasted delicious. The movie – which scored a dismal 22 per cent on Rotten Tomatoes – was terrible, and it may have led to the demise of Ms. Zellweger’s acting career. But the experience of watching, tucked into bed, was well worth it. 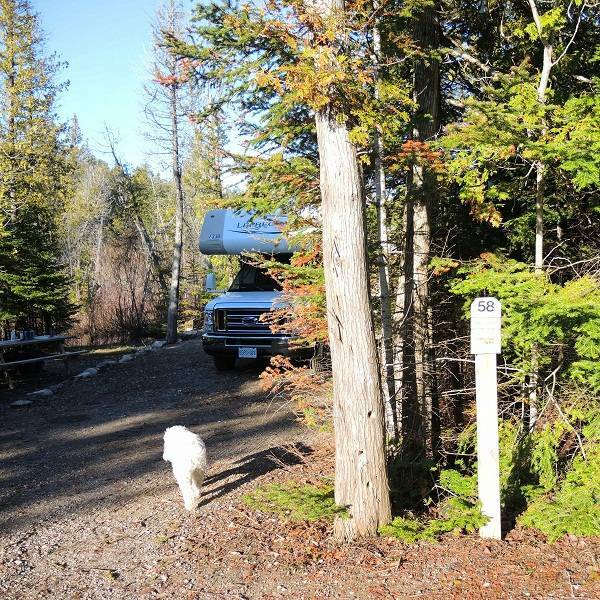 It wasn’t an inexpensive trip, but because of the electrical and water hookup, we didn’t need to use the generator while parked. And, frankly, the novelty of the trip made it worthwhile. 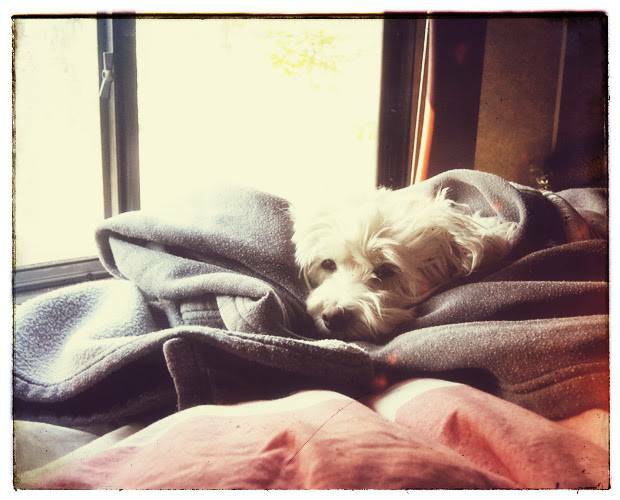 Wth the comforts of home, camping was more than tolerable, it was enjoyable. Would I rent an RV again? Yes, likely when I have small children who will appreciate how cool it is to camp with a flat-screen. 3. Outdoor shower feature at the side of the RV. “Good for dogs and small children,” said Michelle Short at Motor Home. Also good for hand-washing following a visit to the dumping station.